HAPPY WEDNESDAY!! !The sun is gorgeous here, but I could do without the 85-90 degree weather, but I suppose it I cannot complain, when my Maine family is in highs of 55 today! 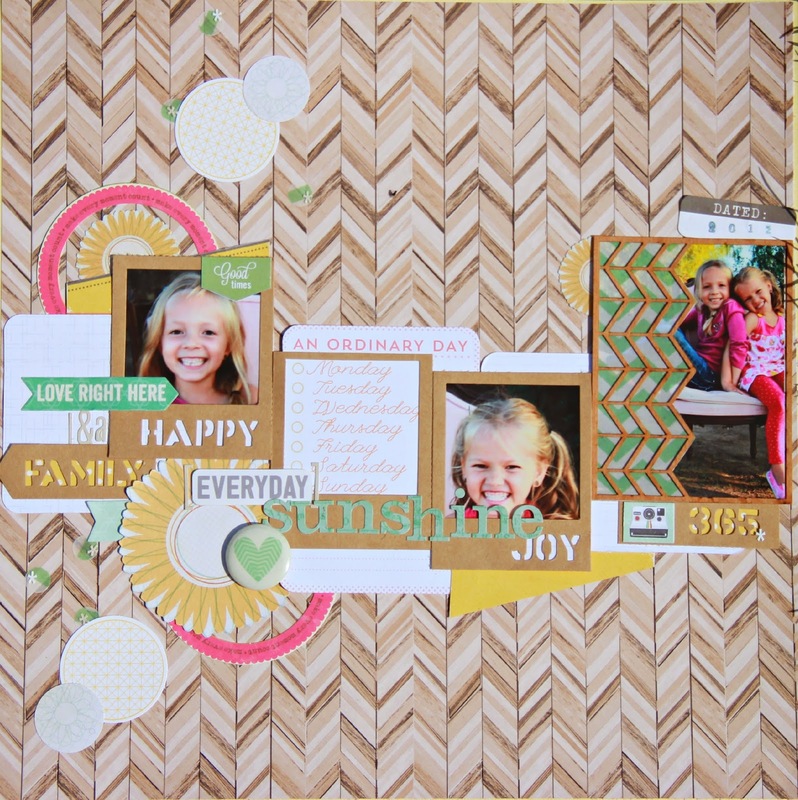 Speaking of sunshine, I had the time to play along with Paper Issues this week, creating this "sunshine" inspired layout. My girls bring me amazing joy and brightness to my day. I fell in love with these Jillibean soup frames the moment I saw them. I have been saving them for just the right project though! Same goes for that amazing wood cut frame from Two Peas! !I am super happy with how this turned out, it makes me happy just looking at their super cute faces. I hope it could brighten your day too, we are have way through the work week, and than I am on Vacation for a week. I am already dreaming of lots of sleep, scrappytime this weekend, and the anticipation of a family friend visiting for the week. This is such a sweet page! Thank you for linking up at Paper Issues! This is gorgeous! LOVING the circles and that background paper!!!!!! ohhhh super cute!!! LOVE the frames and cool background paper!! !